Coming from a close Italian family living in Australia, Joseph was firmly mired in a variety of cultures. Not only did he benefit from the strong ties of family (not to mention the great Italian cooking by his Mother), he easily picked up on languages and understood different cultures. All of this served him in good stead through the university and photography school, where he earned a Bachelor of Arts Degree in Photography. Since the age of 14, he knew what he wanted to be, and 18 years ago established Clique Photography in Melbourne, Australia. About 10 years ago, Joseph travelled to Mauritius for a photo shoot for an Australian fashion magazine. He kept returning to the island for various assignments and was eventually asked by some companies in Mauritius to be the head photography judge for the First International Fashion Awards in Mauritius. He began to truly see the heart of the island, the warmth of its people and its photographic opportunities. Joseph now has a company on the island called Clique Photography Mauritius where he teaches and collaborates with the best photographers on the island. The company currently offers photographic safaris and photographic workshops. Many things spark Joseph's zest for life including travel, different cultures and languages, dancing, food, motorbikes, and sports cars. And, of course – photography. The challenge of sharing his experiences and knowledge with others is fulfilling; he loves being with people and learning is always an adventure. For more than 18 years, couples have turned to multi-award winning master photographer, Joseph Manglaviti of Clique Photography for natural, stylish wedding photographs that stand the test of time. 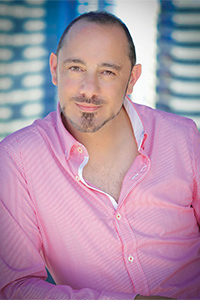 Joseph has won numerous accolades including Associate and Master of Photography as part of the Australian Institute of Professional Photographers. He is a member of The Australian Bridal Service and a member of the World Institute of Professional Photographers. Joseph’s portfolio ranges from high end fashion front covers, high profile weddings, CD cover design for international artists, and fashion portraits through to commercial work and Photo Safari all of which have appeared in a multitude of media formats.